It was a day for the vets as three-time Ironman world champion Craig Alexander, who turns 40 this year, dominated the men’s race at Ironman 70.3 Hawaii, taking the lead on the bike and never looking back as he cruised to a win by over six minutes. 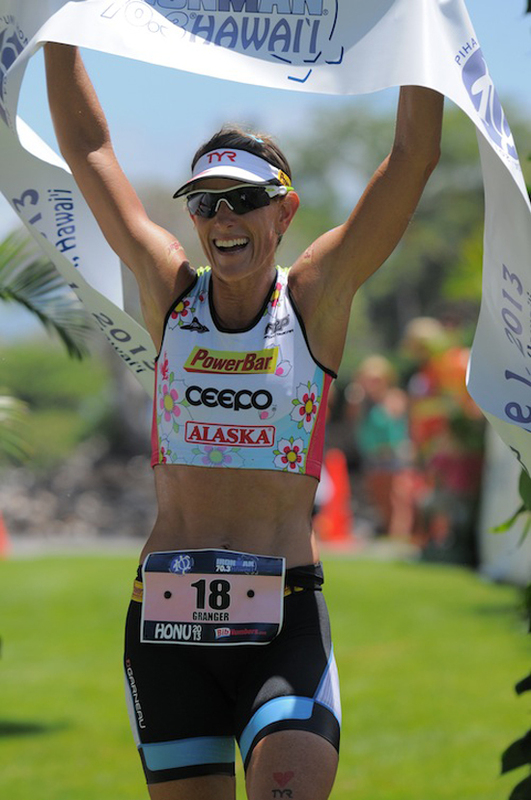 Belinda Granger, 43, took the women’s title by running down early race leader Bree Wee. Big Island resident Wee led the way out of the water with a lead of 1:26 on Granger. Wee then used her intimate knowledge of the Kohala coast to put on a bike clinic, eventually opening a gap of 7:41 on Granger by the time she entered T2, with New Zealand’s Julia Grant a distant third, 12:07 behind. On the run, though, Wee started to fade and steadily lost time to Granger. Through 7.2 miles the lead was down to 4:27 on Granger and 7:11 over Grant. Three miles later Granger and Grant had both gone by Wee and would eventually take the first two spots on the pro podium – age grouper Laura Siddall took the women’s 30 to 34 division and finished second overall – with Wee rounding out the third spot on the pro podium. 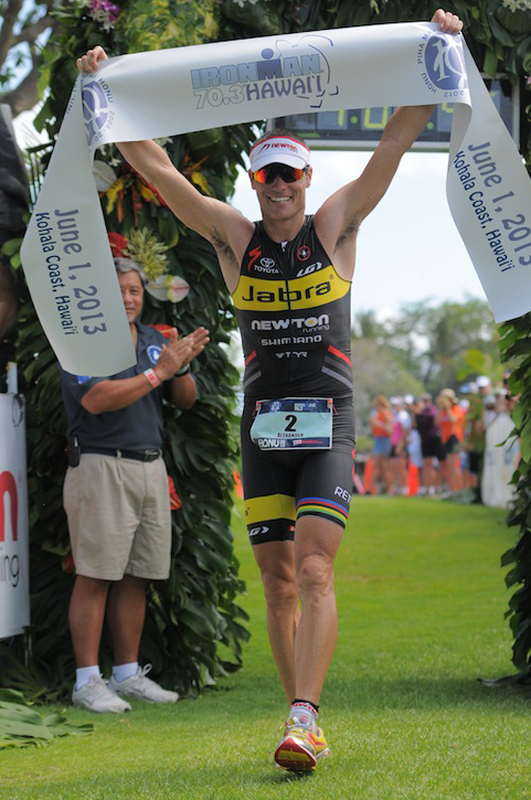 Defending Ironman world champion Pete Jacobs is finally over his leg injury and was competing in Hawaii. Always one of the top swimmers in any race he enters, it was no surprise that the Australian led the way out of the water. He was followed by a bunch of fellow Aussies: Luke Bell was out five seconds back, Paul Matthews was six-seconds behind, American Damon Barnett was fourth with yet another Australian, Alexander, rounding out the top five 11 seconds behind Jacobs. Once on the bike, though, the race quickly became the Craig Alexander show. By the 12.8 mile timing point he was in first with a 23-second lead over Matthews, with Jacobs struggling almost a minute behind in third. By the time the ride was finished Alexander was over four minutes ahead of Barnett and Matthews, with Bell riding in fourth over nine minutes behind. Once on the run course Matthews made a bit of a run at Alexander, picking up about 30 seconds through the first three miles, but you don’t typically take time out of one of the best runners the sport has ever seen for long. By the time they got to the finish line, Alexander was 6:31 up on Mathews, with Barnett finishing in third 8:32 behind. Jacobs is obviously still working his way back to fitness after the injury that sidelined the early part of his season – he would eventually finish as the eighth pro and 17th overall. Big Island Mayor Billy Kenoi finished in 9:17:38 or 1,463rd overall. Earlier in the week, Kenoi said he wasn’t focused on his time, but would be proud just to cross the finish line. A total of 1,560 participants started the event; 1,449 were counted as official finishers. 4. Luke Bell (AUS) 4:15:444.